I'm going to share with you the recipe I use to make pizza crust that's almost as comparable to what you'd find in a real pizzeria. It produces a very crisp, well-structured shell with a pleasant buttery taste. Now, obviously, some would differ as to the technique this recipe uses versus traditional recipes (though upon comparison, this recipe is leaning more toward the traditional side than the majority you'll find), as per this recipe here, but even though I use a different recipe with different techniques and I may not be able to duplicate all aspects of what is stated in that site, I can learn from it to better my recipe and find answers to the questions I have had. If you want a better-than-normal pizza dough than what you would get cheaply at pizza chains, a certain amount of time is required of you. Once you are used to the recipe, however, you will find that you can make it around your schedule. I'm still playing around with the consistency of this dough. 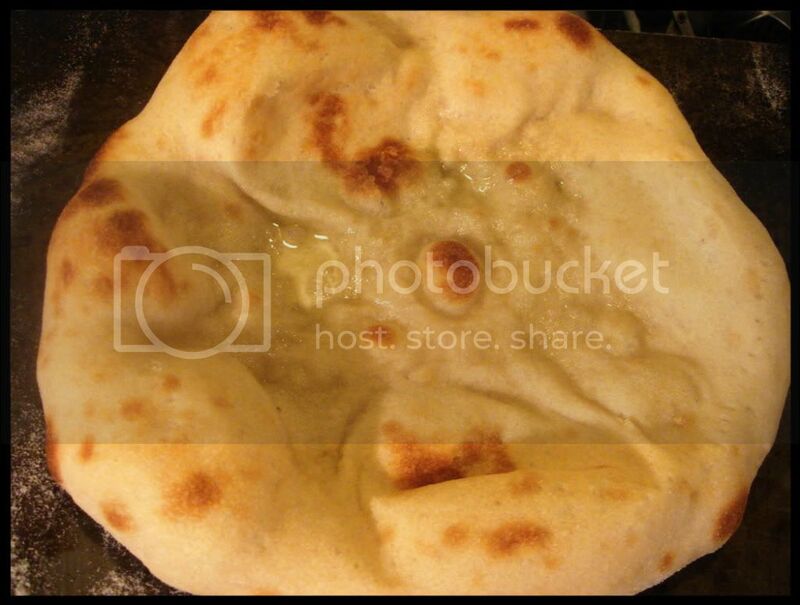 If you look at my Flickr badge, you'll see how the dough is wetter than in this picture. It certainly helped the extendability of the dough to have a higher hydration level than it is here, but I've found that I can just about duplicate the extendability even when the dough isn't as wet, though it still is wetter than for a traditional sandwich dough (which would be a bit tack and be able to hold a mound-like shape easily). 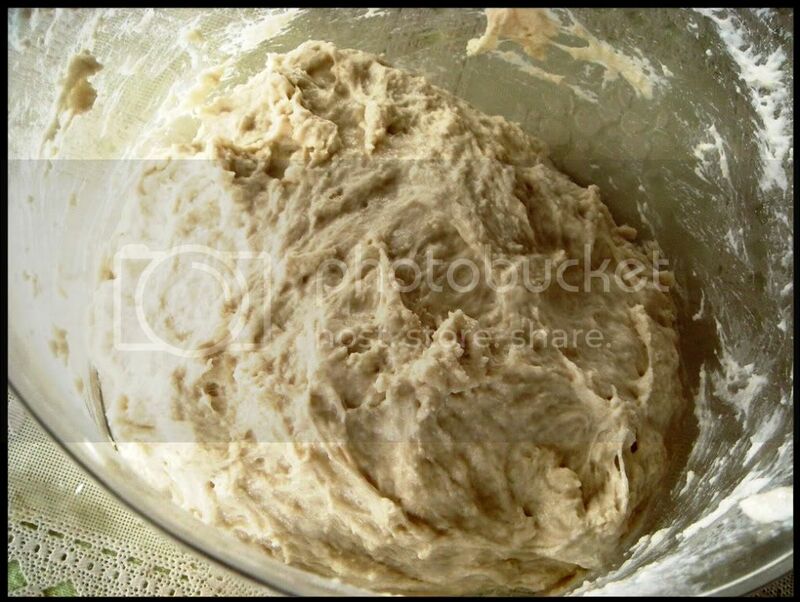 After mixing, the dough should pull itself away fairly easily from the bowl, yet still stick. If you touch the top lightly as I did, it will stick to your fingertips easily. One issue I've always wondered is that sometimes, even after 2 1/2 hours of rising time, it doesn't quite look as if it has risen much at all. The yeast has worked, though. The changes in texture are what is key. If you touch it lightly it won't stick to your fingertips as easily, and once you get it to stick you'll find the extendability to be much improved compared to before rising. To shape all the pieces, even the ones I refrigerated, you gently stretch the outside of the dough into the middle to make a nice, neat ball with a taut outer skin. Cover with a piece of plastic wrap (rub the tops of the dough lightly with flour/rice flour to prevent it from sticking). Prepare your toppings, too. For these, I decided to forgo a sauce and use thinly sliced Roma tomatoes (the yellow isn't Roma), coarsely chopped garlic, and chopped fresh oregano. This is about what it will look like after resting. It should be flatter, but not look deflated. 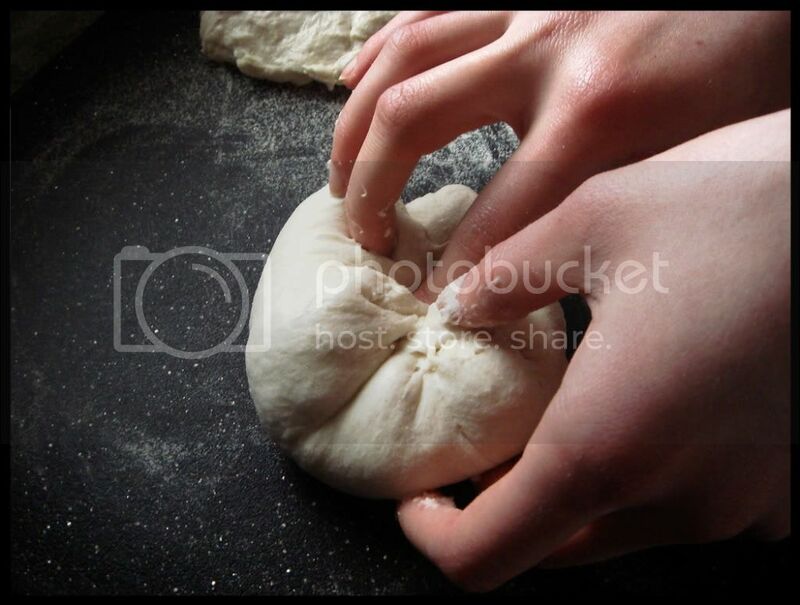 Pat the dough out into a disc like above, then continue patting from the center until it's about an 8-9-inch circle. 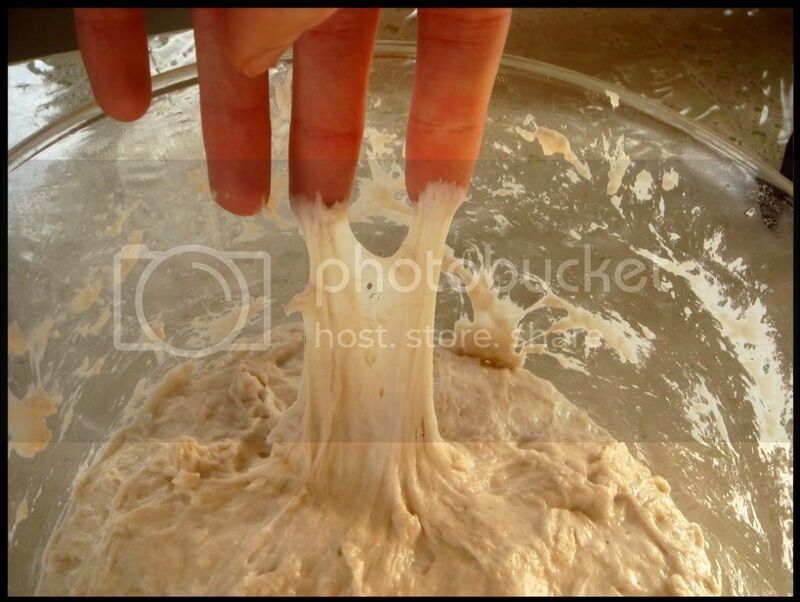 After that, lift it, near the edge, onto your knuckles and rotate in a circle, gently extending the dough out as your turn the dough. 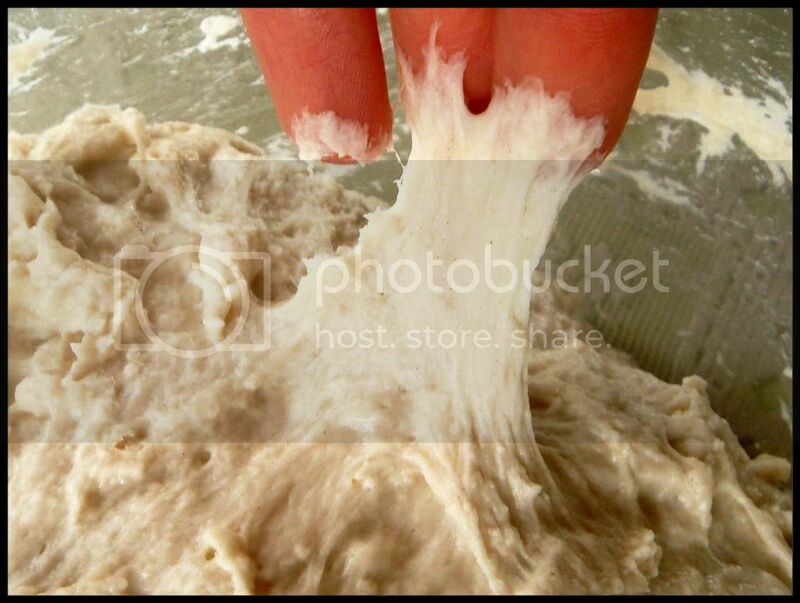 If you don't feel comfortable doing that or if the dough looks as if it might tear, place it back on the board, making sure it's lightly dusted so as not to stick, and continue pressing outward until it's about 11-12 inches. 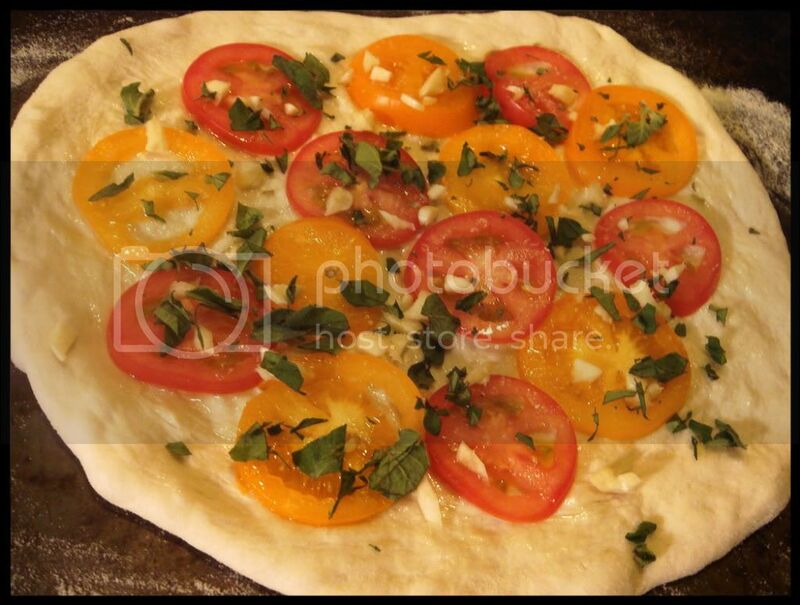 Place on a pizza pan or a peel (I use a makeshift peel with a dusted rimless cookie sheet). Here's where I experimented again. I made one pie without pre-baking the crust and one pre-baking the crust. My reason for pre-baking is that my oven doesn't heat up enough to ensure that the crust won't get soggy, even though I don't overload the sauce and toppings. Also, it means that the final cooking time will only be to adequately brown the cheese, though still being enough time to brown the shell as much as it needs to without being too much time between one or the other. This time, however, I wanted to try it just because. 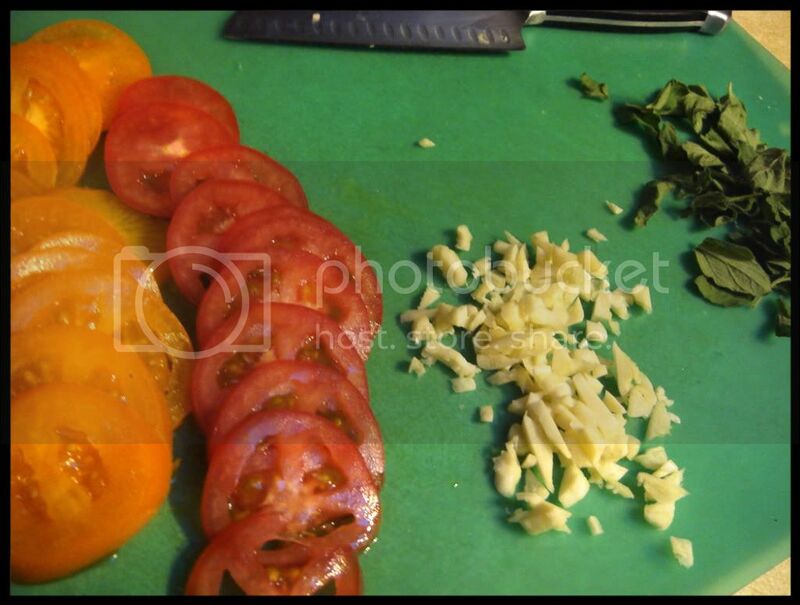 Brush with olive oil first, then place one layer of tomatoes on, garlic next, oregano last. Sprinkle very lightly with coarse salt. If using a baking stone, with one quick motion jerk the dough off the peel, attack the edge of the pie to the stone, then quickly pull the peel out (don't lift it very high) from under the dough while extending the dough backwards to maintain the length of the pie. Immediately place on a wire rack to cool for five minutes before slicing. This was took about 7-10 minutes (less time, obviously, if the shell is pre-baked). I didn't time it really, so after 5 minutes watch you'll want to keep checking about every 2 minutes. Judge by eye, using the the cheese and the crust as your guide. For the pre-baked shell, which is also a good option if you want to get a head-start on dinner, brush with olive oil and, with a fork, prick a 1/2-inch rim around the pie, then the entire insides. You only want to keep it in there until very lightly browned in spots and the shell no longer looks doughy. If it puffs too much in the center, press down on those portions with a fork. Place on a wire rack if not topping immediately. I was surprised that it did brown and cook evenly, though the insides were a bit doughy and you could tell it was a tad soggy, though the bottom was crisp and not soaked. With the pre-baked shell it wasn't the least bit doughy, but soft. Also, you can clearly see that it browned better on the bottom, resulting in a crisper, less soggy crust. The taste? The contrast between the crisp outtards, the fluffy innards, and the buttery-ness is really a great experience. Even the first time I used this recipe it was stellar. UPDATE - This dough takes a while to rise, and by "a while" I mean much longer than 2 hours. If you make it early in the day, this won't be a problem. It will also help the dough develop more flavor. Give yourself plenty of time when you make this dough. To make it ahead of time, divide the risen dough into balls and place in a greased gallon ziploc bag. Refrigerate overnight - remove as much dough as you need from the fridge and let rest on a floured surface until it comes to room temperature (usually about 1-3 hours). We highly recommend cooking by weight. 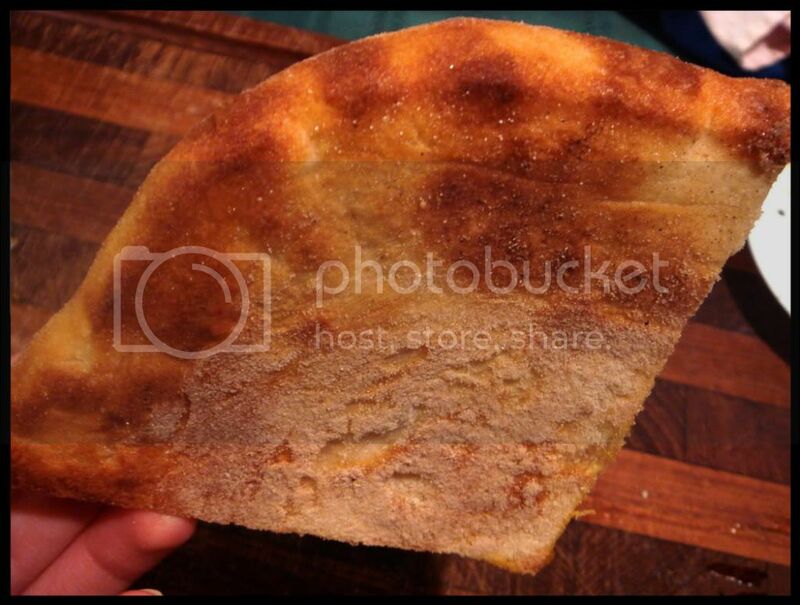 It is fast, and easy to get the exact hydration (water to flour ratio) and dough ball size you want. Personally, I do not use recipes or a mixing cup when I cook dinner for the family, but pizza and bread dough is different. Being exact counts, and nothing works better than a digital scale. To make your pizza balls, shape each piece of dough into a ball. 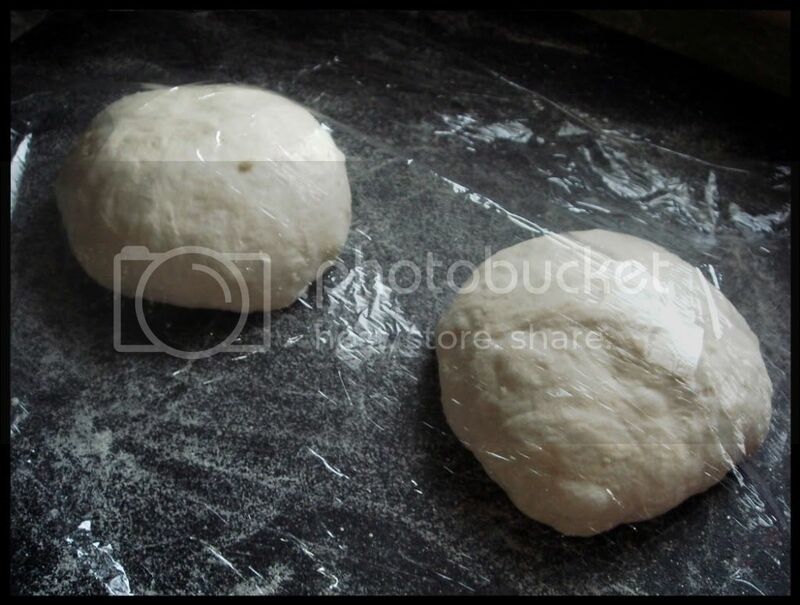 Gently roll your dough into a ball, then stretch the top of the ball down and around the rest of the ball, until the outer layer wraps around the other side. Pinch the two ends together to make a smooth ball with a tight outer "skin." Set your ball seam-side down where it can rest. 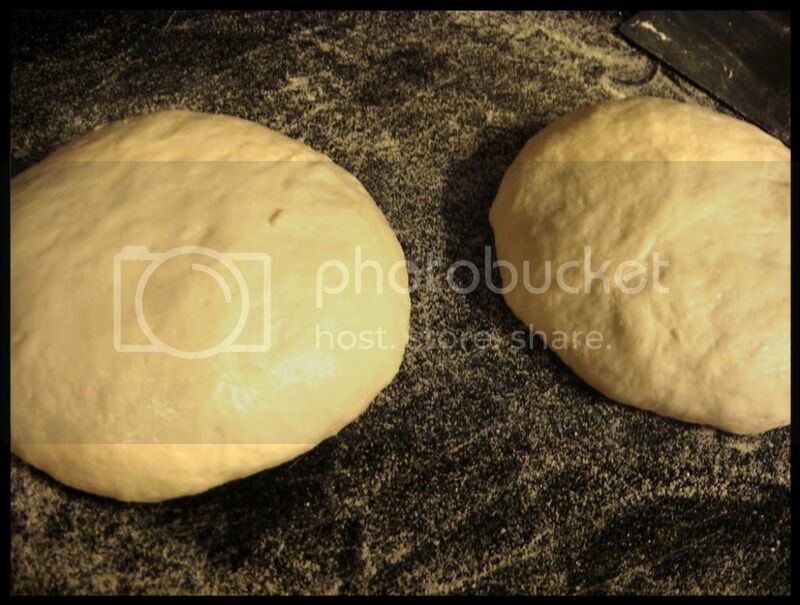 Dust your pizza balls with flour, and store them under a damp towel, in a proofing tray, or under plastic wrap. This will prevent the outside of the ball from drying out and creating a crust, and becoming difficult to work with. The top of the pizza ball should be soft and silky. Your pizza balls will need to rest for about an hour to become soft and elastic, so that they can be easily stretched into a thin crust pizza. 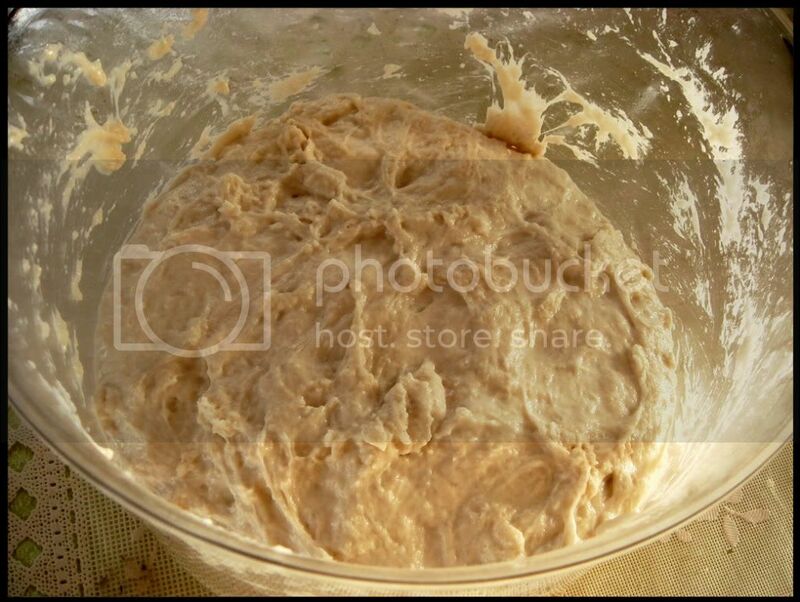 If you won't need your dough for more than an hour, refrigerate it until you are ready to start. This is where I mostly winged it with shaping and cooking. 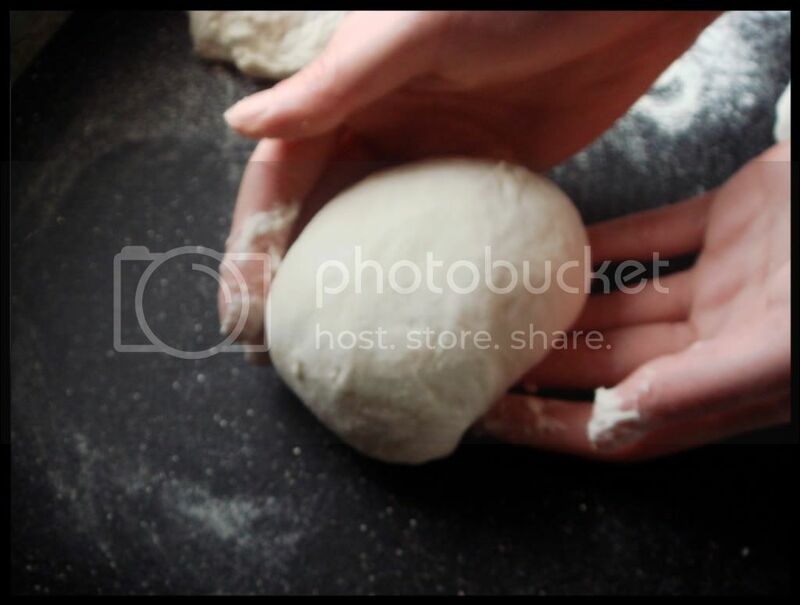 Visit this section of their website for more tips on how they say to shape the dough and top it, and this section for how to bake it as per their directions. For topping, definitely less is more. You want a light layer of everything, even the sauce. Spread the sauce so that just the thinnest amount is used. The bottom need not be completely covered in sauce, but it should all be moistened. Sprinkle the toppings, then the cheese. Practice is definitely key, too. Part of the reason I enjoy making pizza is so that I can experiment and take note each time. 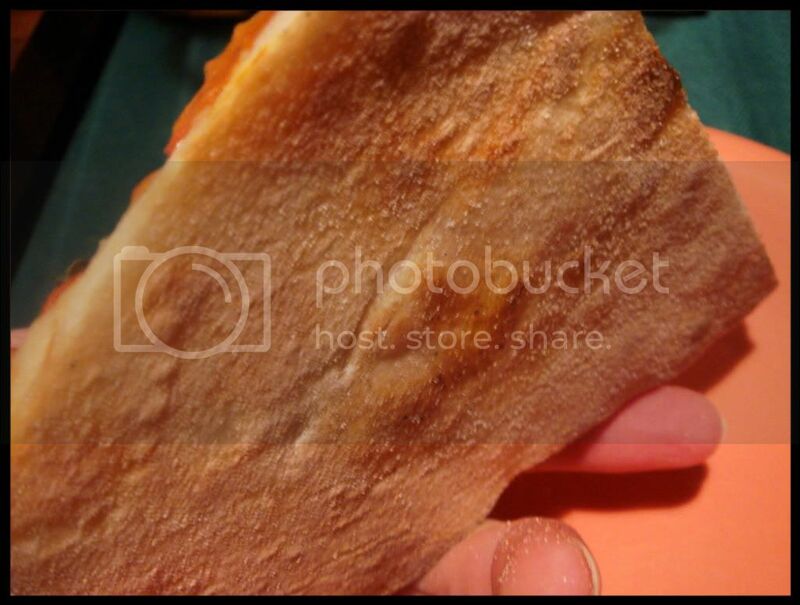 This is the second real pizza recipe I see today. That's a sign that I need to make pizza for tonight's dinner. 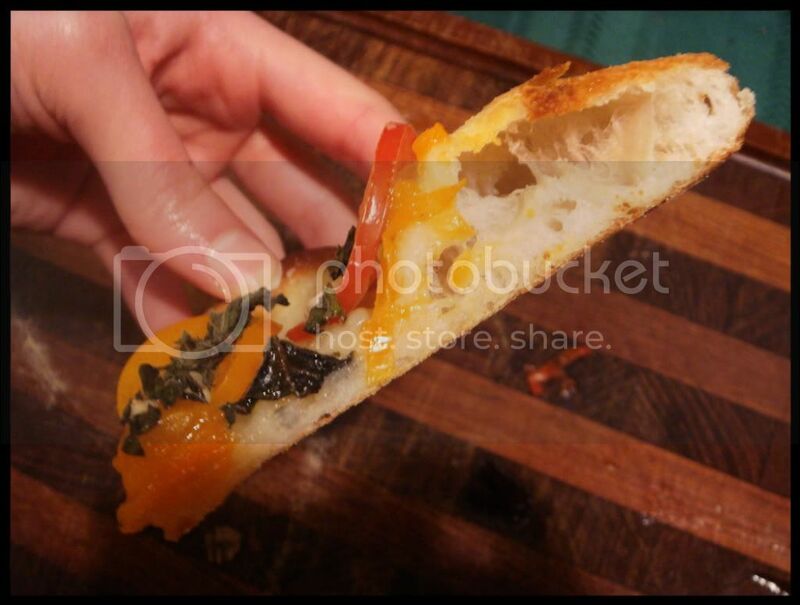 Have you ever tried pizza with puff pastry? It is a very nice twist on pizza. 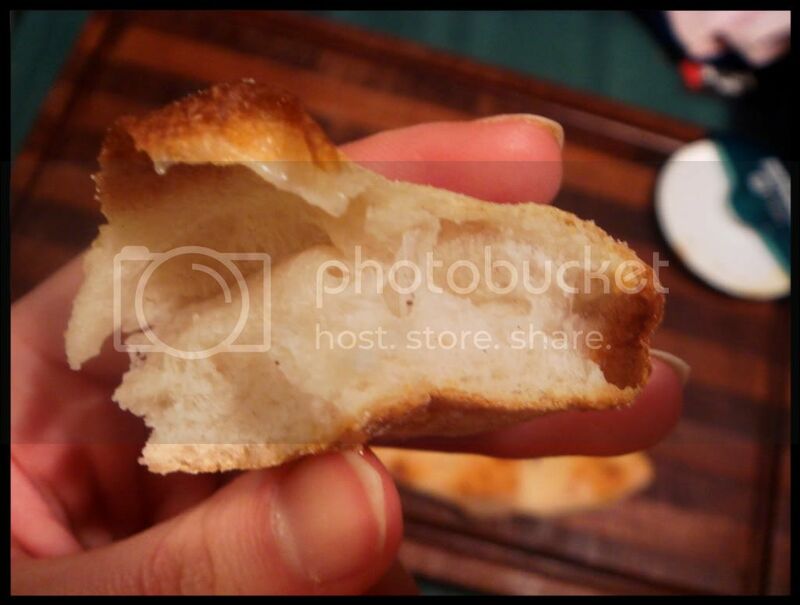 My pizza dough before baking looks exactly like your photos, however it does not puff up when I bake it. Whether I pre-bake or not, it stays flat like cardboard. 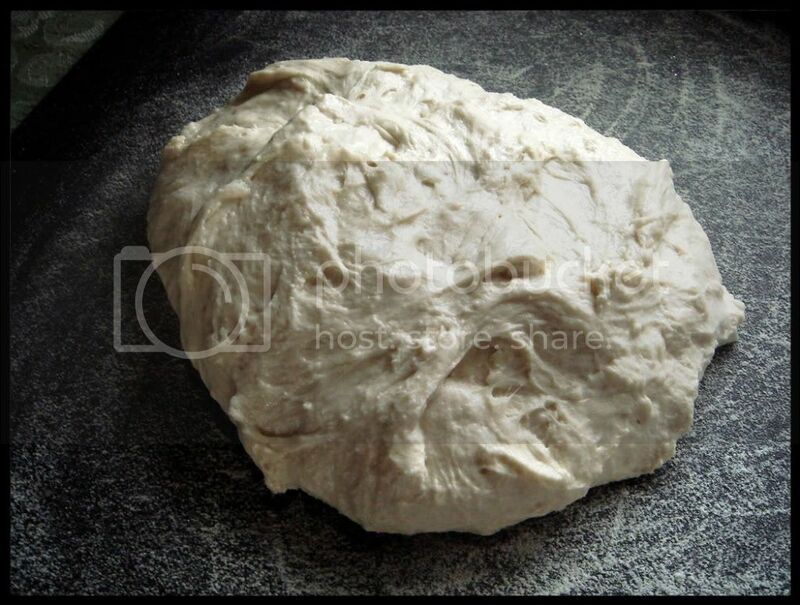 When you take your dough out of the fridge, how long do you let it rest on the counter before baking. and where in the oven do you place the rack, top, middle or bottom. Teresa - I don't put the dough in the fridge. That's always an option, I just haven't gotten around to doing it. I let my dough rest after rising for about an hour or 1 1/2 hours, but if it's coming out of the fridge then I'd let it rest for at least 2 hours. 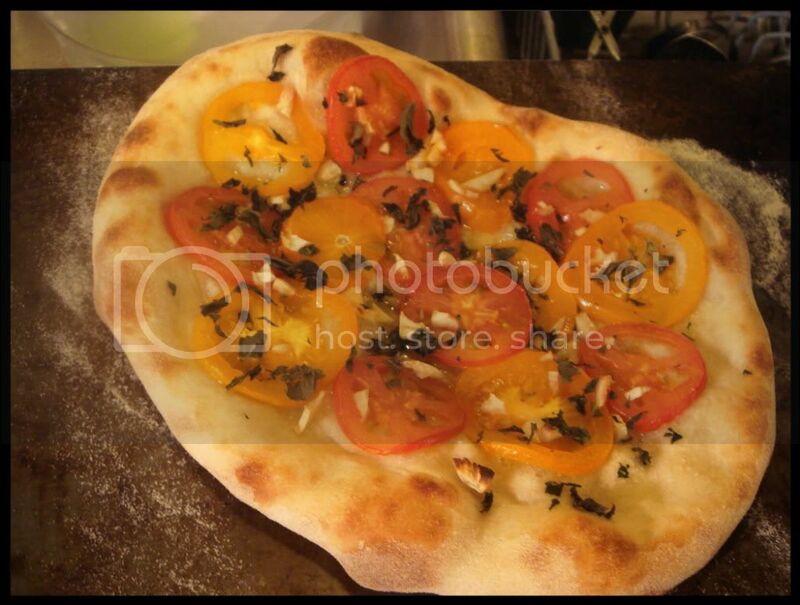 The oven rack is in the middle of the oven, and I bake the shells on a pizza stone with the oven temperature at 425°. Great post, thanks. I just tried it, only I was using an outdoor pizza oven . Turned out really well!